Can't attend the game. Two tickets. Willing to sell these at face value. Excellent seats. Section 111. Price: $1 World Junior Hockey Championships - Vancouver - Some Canada Games still left! Price: $250 Pair of Lynyrd Skynyrd 4th row floor tickets. Price: $150 World Junior Tickets (Good Value) - SOLD OUT EVENT! 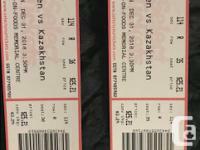 Price: $95 WORLD JUNIOR HOCKEY - KAZAKHSTAN vs SLOVAKIA - 2 TICKETS - AMAZING SEATS! 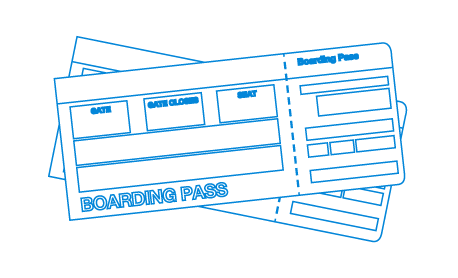 Price: $1,234 World Junior tickets - Only 3 sets left! Price: $275 WORLD JUNIOR HOCKEY QUARTER FINALS GAME #1 / JAN 2 / 2 TICKETS / GREAT SEATS! Price: $98 Queen & Adam Lambert - 4 Tickets LAST MINUTE XMAS GIFT! Price: $275 WORLD JUNIOR HOCKEY QUARTER FINALS GAME #2 / JAN 2 / 2 TICKETS / GREAT SEATS!